Devin is the Director of Domestic Franchising and a Sports Performance Coach at Athletic Lab. Devin earned a Master of Science degree from the school of kinesiology at the University of Central Missouri. His concentration at UCM was sport management. 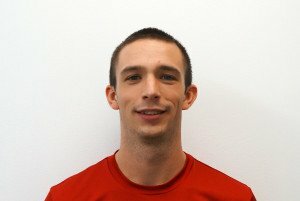 Devin completed internships at both ALTIS and Athletic Lab before joining the Athletic Lab team. Collegiately, Devin was a 3 time NCAA All-American in the multi-events; twice at the Division III level and once in Division II. He continues to compete post-collegiately in the decathlon as a member of the Athletic Lab Track and Field Team. Devin has earned the USTFCCCA TFTC certification.